I'm always amazed at the small pieces that go into making a whole. I often miss the "big picture". 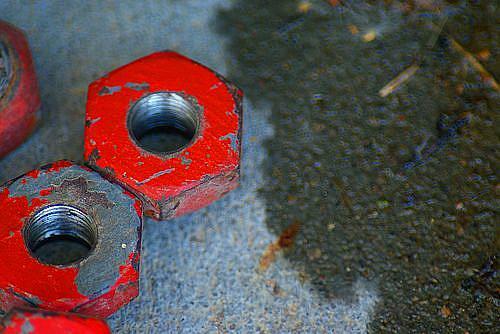 This was taken while a tire was being changed on a tractor and of course the red caught my eye.